As a business owner or marketer, you know you must tap a number of resources, implore several strategies, and take advantage of many tools to attract your target audience to your brand and convince them to become customers. Online marketing became a core consideration in every marketing plan beginning in the mid-2000s and has continued to grow in importance every year. In that time, marketers have learned much about the methodologies used to attract and convert customers successfully. One tried-and-true methodology that countless small, medium and enterprise businesses have successfully utilized is known as the inbound marketing methodology. The term “inbound marketing” was coined by HubSpot CEO, Brian Halligan. The inbound marketing methodology refers to the process of bringing customers to you using an attract, convert, close, delight loop instead of pushing your product or services out to them through ads or purchased email lists. It’s is built on the premise that you create something of value for potential customers, build a relationship with them, and use permission marketing techniques to convert them into paying customers. The inbound methodology promotes a 5-stage life cycle in which strangers convert into, not only customers but your brand promoters over time. Each stage deals specifically with moving an individual from one lifecycle stage to the next. In this post, we are going to address the three core tools used in the all-important “Attract” strategy and how you can implement them to increase the traffic to your website. Essentially, the key to attracting visitors to your site is to offer them something of value or to engage with them in a way that encourages them to visit your site, or “attracts” them to your site. Attracting strangers to your site can be done through a number of means such as blog posts, social media, paid search advertising, and videos. The bottom line is that all content created and designed for inbound marketing should provide value to your target audience. You can provide value by creating content that serves to answer a customer’s questions, describes the benefits of a product or service, provides helpful instruction, or otherwise engages the customer. Generating traffic, in and of itself will hold no value for your business. Ideally, you want to attract customers in your target market, those who are most inclined to purchase your products or services. To attract the right people, you need to identify the keywords and key phrases most likely to be used by your target audience in conjunction with your product or service. Start by imagining what your target market will be searching for when they seek information about those products or services on a search engine. Some keywords will be obvious, but the problem is they will be obvious to competitors, who are probably also using them. You need to think of alternatives and other niche keywords that will still be a likely search query and, hopefully, something your competitors haven’t yet thought of. But even if they have, you can still maintain your edge by using keywords better and smarter, through a variety of inbound marketing techniques. Keep in mind, your customer may not even know that your product or service exists. Try focusing on identifying common questions that may lead an induvial to the realization that your product or service solves a problem that they have. If you are struggling with your keyword research, or whether keyword research is even important for your online marketing, have a look at our recent post, Do Keywords Still Matter? You can usually easily repurpose one piece of content to encompass many of the above ideas. Creating the necessary content to attract your visitors effectively is one of the most time consuming and difficult strategies in inbound marketing. If you are struggling to create your content, consider enlisting a professional copywriter or content marketing service. You may have noticed by now, that it’s called a methodology for a reason. Inbound marketing takes a very methodical approach to converting from strangers into promoters. We’ve discussed how you should approach establishing targeted keywords and how to create valuable content around those keywords. The next step is to get that content out in front of your target audience. One of the most effective ways to get your content seen by as many eyes as possible is to promote everything you create across various social media platforms such as Facebook, Twitter, LinkedIn, and Pinterest. Additionally, your blog should have a subscribe feature, and you should take full advantage of this permission to share as much content with subscribers as possible. Attracting visitors to your site is the very first, and possibly most important step in converting strangers into your brand promoters, but it’s often easier said than done. Planning your inbound marketing campaign doesn’t have to be overly difficult, but it isn’t something you can quickly put together either. Executing a truly successful inbound marketing strategy will require you to invest, whether with your time, energy, or capital in your online marketing. The long game is the best game to play in online marketing, and if you stick with your inbound strategy, you will be glad that you did. If you don’t have a dedicated marketing and creative team at your disposal, you might consider retaining the services of a professional digital advertising, web design and SEO company to develop a customized campaign that best suits your needs and helps you achieve your marketing goals. Developing and running a successful inbound marketing campaign entails much more than attracting visitors to your site – you also need to turn those leads into customers and clients. In other words, “convert” them. Developing a marketing strategy designed to convert leads, along with having the right content on your site, is key to turning those leads into customers and achieving an optimal ROI. In the first section in our inbound marketing methodology post, we addressed the three core tools used in the all-important “Attract” strategy of inbound marketing and how you can implement them to increase the traffic to your website. In this section, we will cover the “Convert” strategy and the most effective ways that you can convert visitors on your website into leads. First and foremost, you must present website visitors with quality content that offers visitors the information they seek. Relevant content that not only serves an informational purpose but also explains how visitors might benefit from purchasing your products or utilizing your services piques consumer interest. An important aspect of the inbound marketing methodology is the use of targeted and specific calls-to-action. A call-to-action targets the very moment when many visitors will decide whether to become a lead or not. Always offer something of value with your calls-to-action. The user needs to feel that they are getting something in return for giving you their coveted contact information. Be specific about it. While a call-to-action can come in many forms, there are generally four parts to an effective call-to-action. A visual element – This makes the call-to-action stand apart from other content and draw a user into it. You can see the bottom of this post for an example of one of our calls-to-action working hard to convert visitors into leads. Once a visitor clicks on a call to action, they should be taken to specially designed landing pages that convert. While it may seem counter-intuitive, these landing pages should contain no top-level navigation menu. All efforts are geared at focusing the visitor on completing your form and becoming a lead. Your landing pages should contain enough interesting and informative content to peak a consumers’ interest. Using a balance of text, bullets, images, and even videos will serve to increase consumer retention and promote brand awareness. Alongside the content should be a prominent conversion form. Conversion forms provide visitors with an instructional cue to provide you with contact information, make a purchase, or otherwise convert. Once an initial conversion has taken place, the pump is primed for further conversions. Don’t be afraid to place another, more in-depth, conversion opportunity directly on the page a visitor hits when they initially convert. These secondary conversion opportunities can often see even higher conversion rates. One of the most important factors in converting your website visitors into leads are your conversion forms. Don’t make the mistake of thinking that any of these three elements are trivial and ineffectual. The conversion rate for a well-designed form will be drastically better than a form that made without consideration to detail. Form fields should always be equitable to what you are offering and where in the sales cycle the visitor is. For a free give away, like an ebook, don’t ask for the moon, you won’t get the moon, and all you will end up with is a high abandon rate for your landing page. The rule of thumb with form fields is, ask for the least amount of information that you can to move them into the next stage of the sales process. Finally, don’t use “submit” for your form’s action button. Be specific. For example, “download our ebook” or even simply “get started.” This small change can have big impacts on your conversion rate. Converting visitors into leads is not always any easy task. It takes time, patience, and a lot of trial and error to hone in on the factors that will improve your conversion rate. If you take the time and put in the effort to write informative yet persuasive content, create enticing calls-to-action, and use effective landing pages with optimized conversion forms, you will see your website turn into a lead generation machine. Many of people that we work with understand that these are areas that they need to focus on, but simply don’t know where or how to begin. If you are unsure where to begin, contact us, and we can work with you to put an effective inbound strategy in place. Developing and running a successful inbound marketing campaign starts with attracting visitors to your site and converting those visitors into leads, but leads aren’t worth anything if they don’t turn into customers. In other words, you must close the deal. Closing leads is often overlooked as we plan and evaluate our marketing efforts. We often lay this burden solely on the shoulders of our sales staff, and with good reason, that’s their job. But if you aren’t considering how your marketing efforts can assist your sales staff and increase your close rate, then you are most likely leaving deals on the table. In the close step of the inbound methodology, we’ll cover how closing deals fits into the inbound marketing methodology and how your marketing can assist your sales staff in turning leads into customers. All leads are not created equal; you and your sales staff are painfully aware of this fact. Your response to all leads should not be equal either. One of the most important pieces of your marketing plan, whether inbound or outbound, is determining at which point a lead should be handed off from marketing to sales. It may be easier in the early days when leads are scarce, and your sales staff is itching to run down every deal they can. But as your marketing gains traction, prioritizing leads and managing the time of your sales staff will become a greater concern. Implementing a lead scoring system for qualifying leads is an ideal way to more thoroughly qualify leads and set realistic expectations for both your marketing and sales team. Just because an individual has filled out a form on your website does not mean that they are ready to become a customer. Especially as you more fully implement an inbound marketing system, individuals should have multiple opportunities to convert on your website, and in many ways. Determining at which level of engagement they are ready to speak with a member of your sales team and assigning a value to interactions that indicate points along this path is the basis of lead scoring. If you’re running an inbound marketing strategy correctly, then you are creating a lot of content. Ideally, this content was created specifically with your buyer personas in mind. On top of using this content to attract website visitors to your website initially, it’s time to give it double duty. 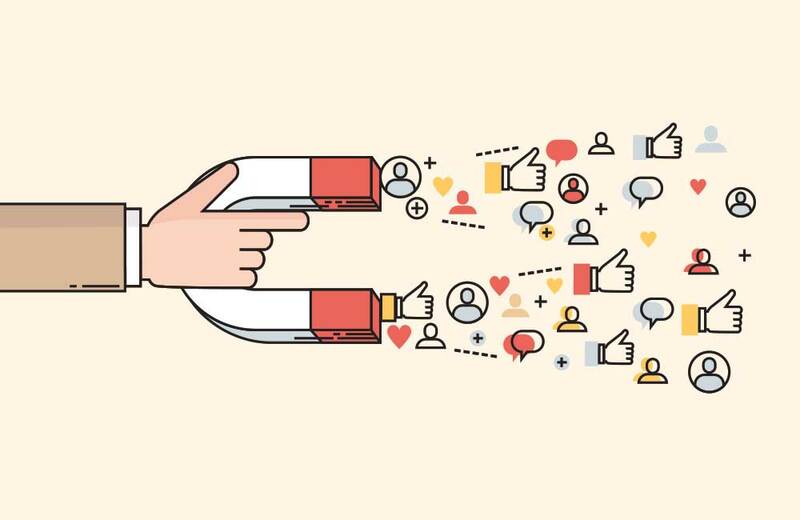 Creating nurture campaigns that keep your newly acquired leads engaged with highly relevant content is one of the best ways to build credibility, stay top of mind, and nudge your leads ever closer to becoming your customers. Nurture campaigns can be designed to more fully qualify leads before your sales team makes contact or as part of your sales process. While there is no denying that human to human interaction is extremely important in the sales process, don’t underestimate the advantages that creating automated workflows for your email communications can provide. Having email workflows allows your sales staff to manage larger funnels by turning over many of the common or necessary communications to an automated system. Also, creating sales integrated email workflows allows you to have more consistency in the language that you use providing better sales and marketing alignment and ultimately more realistic expectations for incoming customers. Finally, and possibly most importantly, analyzing and adjusting is a key step in not only closing deals but closing the loop on your marketing effectiveness. All too often small to mid-sized business owners rely on nothing but their gut instinct in determining which marketing efforts are working and which are falling short. Gut instinct is a powerful tool, and no one is more plugged into what is working and not working that sales staff and business owners, but there are often preconceived notions and beliefs at play that can cloud the true effectiveness of your efforts. For example, when you close the loop fully, you may find that while social media is generating a larger number of leads, those leads are far less likely to close than the leads generated by your search engine marketing campaigns. From a gut level you may feel that social media is one of the more effective ways to generate leads for your business because it produces a higher lead quantity. In reality, your search engine marketing is more deserving of future attention and increases in investment. Getting a truly complete picture of your marketing performance is one of the most powerful and growth-focused investments that you can make in your business. The inbound marketing methodology places emphasis on the marketing components of converting leads into customers for a good reason. Too often small to mid-sized businesses hand leads off from marketing to sales only to see the chain of data and alignment broken. The same online marketing tools that you use to generate traffic and convert those visitors into leads can and should be integrated into your sales process. If you are successful in this endeavor, you will close more deals, increase your revenue, and grow your business. We’ve made it! We’ve reached the fourth and final section of our journey through inbound marketing methodology. Since we started, we’ve looked at how to attract your target audience to your brand, how to convert those leads into customers and clients, and how to close the deal, turning those leads into paying customers. In our final stage of the Inbound Marketing Methodology guide, we’re going to explore ways to “Delight” your new customers and the most effective strategies for turning them into lifelong fans. Just because you’ve closed the deal and converted a lead into a customer doesn’t mean you should forget about them and move on to the next hot prospect. Quite the contrary: this is merely the start of a new chapter. The best way to find out exactly what your customers want is to simply ask them. Surveys and feedback solicited via tools such as Poll Daddy or Survey Monkey are great ways of finding out what your customers actually think of your product or service. How helpful do you find our website? What subjects would you like to see covered in our newsletter/blog? What products/services would you like to see added to our current offerings? What do you like most about our new product/service? What do you like least about our new product/service? How would you improve our new product/service? Feedback from a market research survey may even help you discover new keywords for your marketing strategy. Say, for example, that a large number of respondents report that they would appreciate a training class to go along with your new software offering. If you choose to offer this service based on the feedback, you should also incorporate “software training” into your list of keywords to focus on. We discussed calls-to-action (CTAs) in the ‘Convert’ installment of this series, using them to convert new website visitors into leads. Here, we’re not using just calls-to-action but ‘smart’ calls-to-action. So what is the difference between a ‘standard’ call-to-action and a ‘smart’ call-to-action? The standard discussed previously simply encourages visitors to click it. Everyone sees the same CTA and gets the same result. A smart CTA, however, takes things a step further. Each customer sees a different CTA based on buyer persona or lifecycle stage. This level of customization allows you to deliver both relevant and effective CTAS timed to help potential customers with their challenges at the point when they are ready to buy. Smart text is another way to customize your website messaging to tailor the experience to each user group. This helps provide your existing customers with engaging content personalized to match their specific interests and needs. If, for example, a visitor to your site is a potential buyer, they will be shown content designed to entice them into making an initial purchase. Alternately, if they are an established customer, they will see different content focused on upgrades, or ongoing support. You can target your content based on anything that you already know about your leads. As you learn more about them and your buying personas become more detailed, the possibilities get even smarter. Social monitoring should be a regular part of your engagement strategy throughout the buyer’s journey. Social monitoring helps you keep track of the social conversations that are relevant to your business. It also enables you to reach out to your customers with relevant content. Your social monitoring strategy should go beyond just posting great content. You also need to observe and analyze your efforts. For example, pay attention to which posts are engaging your customers. Look over the posts that received lots of comments and shares. Pay equal attention to the posts that no one seemed to notice. What do they have in common? Do the posts with the most interaction answer frequently asked questions, or include a free offer? Careful analysis will help you determine what type of content to offer your customers in the future. Another question to ask is “which channels are driving the most traffic?” Although it’s true that a balanced social media strategy integrates multiple platforms, most businesses don’t have time to post to every social media channel available. If you learn that 90% of your traffic is coming from LinkedIn, it will be well worth your time to dedicate more energy to that channel and less to the others. If you’re watching people share your Instagram posts on a regular basis but they don’t turn into conversions, you may want to consider letting go of that channel in order to focus your efforts elsewhere. Above all, make sure to check your analytics on a weekly basis. By checking your analytics regularly, you can get a better understanding of what your customers want, how to reach them more effectively, and how to make the most of your social media accounts. The inbound marketing methodology covers every step traveled on the road from stranger to established customer. It empowers businesses to attract visitors, convert leads, close customers, and keep them delighted and engaged with your business. However, mastering the art of inbound marketing takes a lot of work. If you are unsure where to begin, contact MARION marketing today and we can guide you through the process necessary to implement an effective inbound strategy for your business.